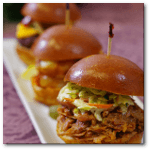 Offering outstanding catering services for corporate events, both big and small, let Union City Catering take the stress out of your next planned event. Our catering staff can create a dynamic menu, including spreads with Cuban and American influences. Known for delivering quality food and outstanding customer service, we invite you to experience our extensive menus and savory selections. Check out our current promotions and contact us today to schedule your next event. With over 26 years of combined catering experience, Richard and John Donato are true professionals in their field. This knowledge and tremendous experience is evident in Union City Catering services. As a result, their family-owned business has developed the reputation as one of Hudson County’s top catering establishments. At Simply Delicious Catering, we treat every customer with the greatest respect and strive to provide a memorable experience. 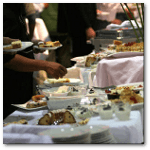 Why Choose Us As Your Union City Caterers? From Bergenline Avenue to the Cuban Day Parade, whether you’re planning a quick lunch or an extended event, our Simply Delicious will deliver an impressive presentation. Our sophisticated menu, coupled with our attention to detail, makes us the perfect choice for your next business event or casual party. We have considerable professional experience, to include NJ corporate catering, parties, special events and more. We provide catering services throughout the Union City and Hudson County areas and we provide a flexible schedule to help meet your needs. Thinking about hosting a special event you need catering for? Our professional event coordinators are ready to plan and execute your next event, whether that’s a simple brunch event or a full-service catered event. You can always count on premium ingredients from local sources, coupled with exemplary customer service. We know you will be back again. Our catering facility was designed to provide an environment that is employee-friendly, enabling our employees to take care of our customers efficiently and carefully. Simply Delicious Catering has ‘set the bar’ high in the industry, secondary to the unique methods and quality service measures we are implementing. Our catering crew is an amazing team of people who really allow us to excel and help our clients bring their vision to life. 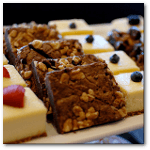 At Simply Delicious Catering, food care is one of our top focuses. Professional caterers truly understand how to prepare the food, deliver the food, and serve meals during the event. This process begins in our kitchen, where we carefully monitor and control the temperature of the food from prep to plate, guaranteeing its quality. Our Union City Catering team takes great care in devising unique details for each dish, bringing the dish alive and displaying its wonderful colors. Our food is always fresh, pleasing to the palate and very well presented. We pride ourselves in our ability to understand your needs and combine these elements to produce the catered event you imagined. The Union City Catering staff is trained to understanding and serve the expectations of our clients. We know our serving staff not only represents us, but also represents you.